Whether your goal is to align to the standard or pursue certification (if there’s a business case, of course), this white paper will serve as your road map for success! This section provides an overview of the standard, including its scope, audience, and value proposition. Section 2: What is a Management System? 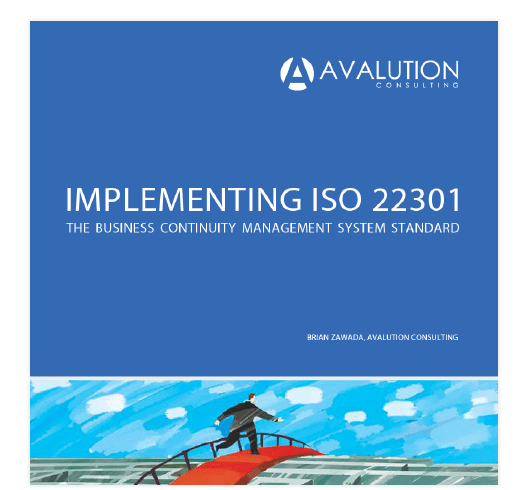 This section introduces key management system concepts that all business continuity professionals should understand before moving forward with the implementation of ISO 22301. This section focuses solely on ISO 22301, introducing practical, pragmatic guidance to successfully implement the standard and take advantage of each element of the business continuity management system.